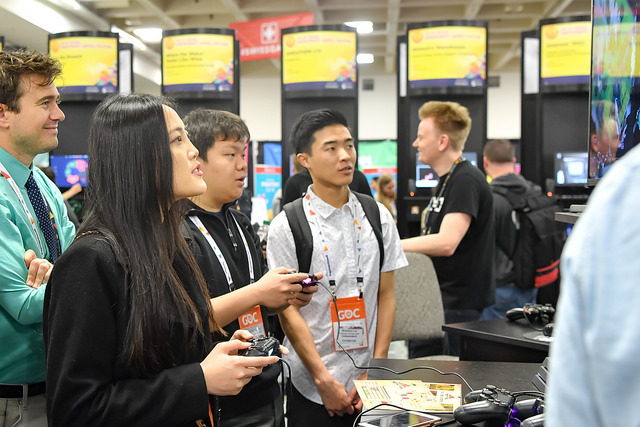 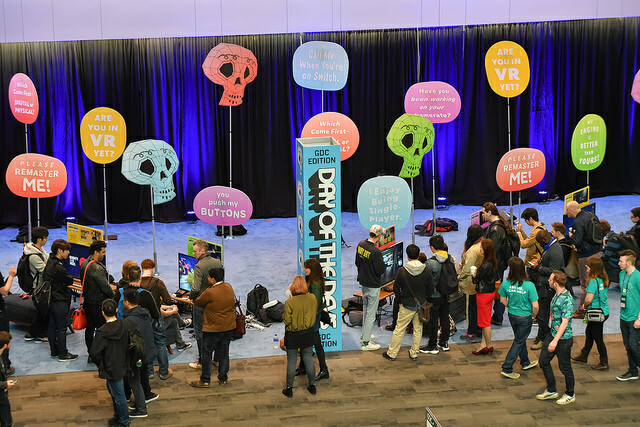 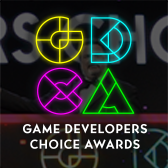 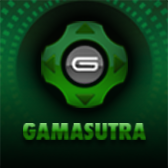 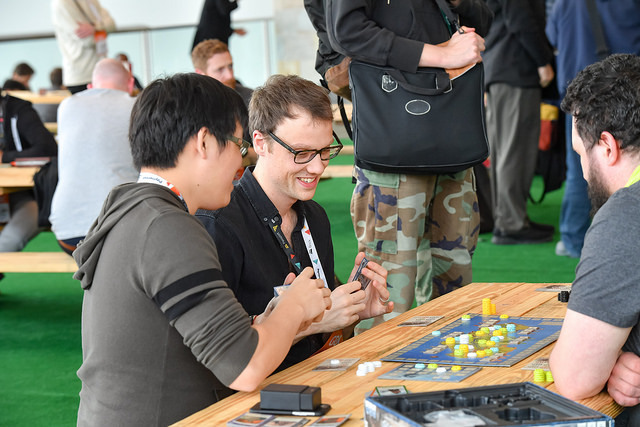 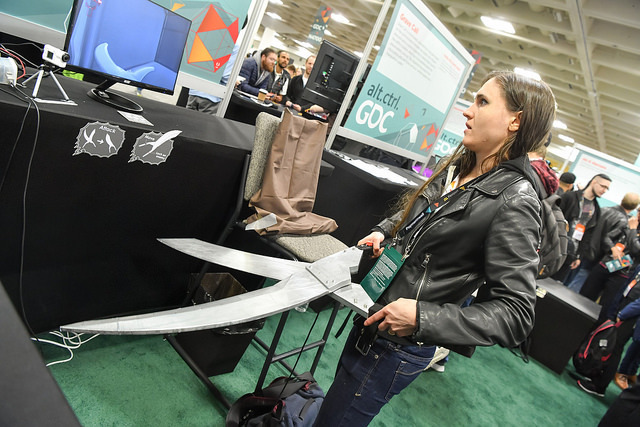 Connect with game developers throughout the week at GDC. 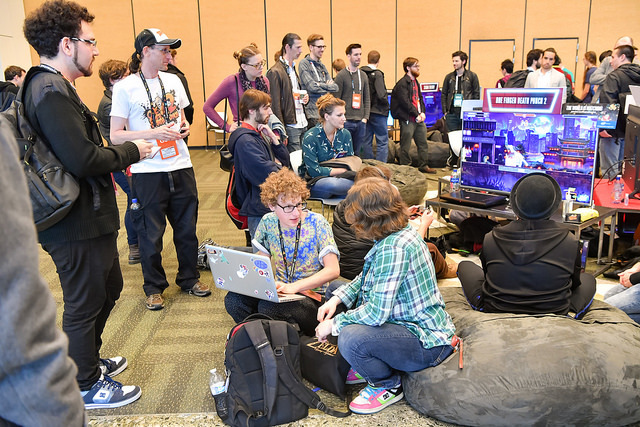 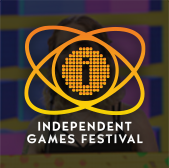 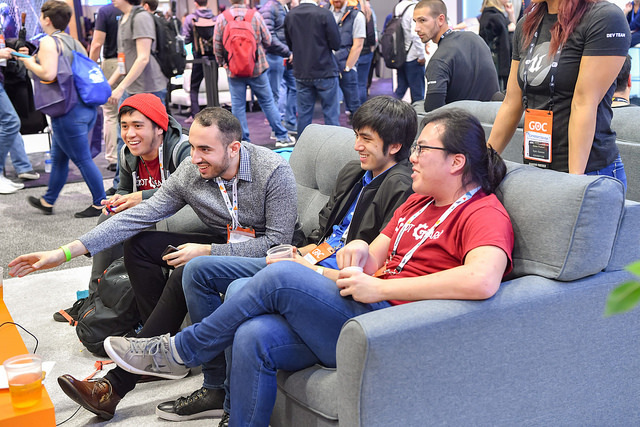 Check out community spaces to relax, play games, and meet new people in themed areas for indie games, retro games, alternative controllers, and more. 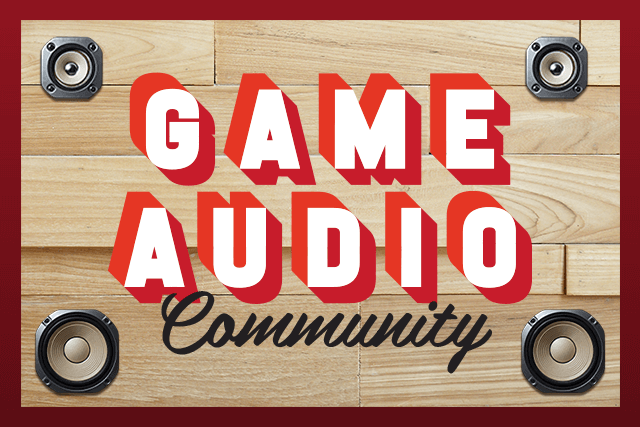 Chill out to playlists created from works by fellow game audio talents, tinker with acoustic instruments on a song you've got rolling around in your head, meet with your peers and talk shop! 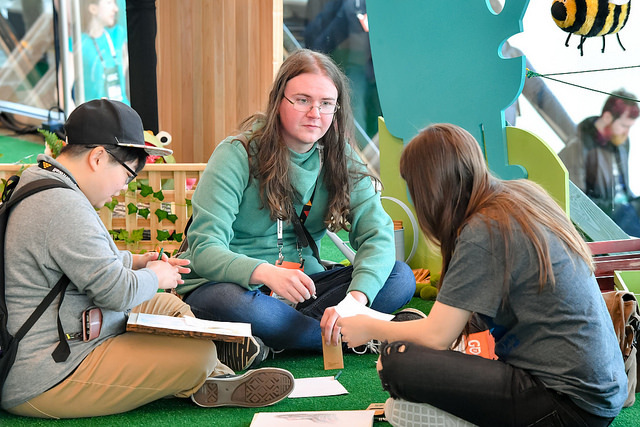 Show off your skills with a wall-sized collaborative drawing, admire the works of local artists as they create an “Exquisite Corpse” style mural live onsite (revealed on Friday! 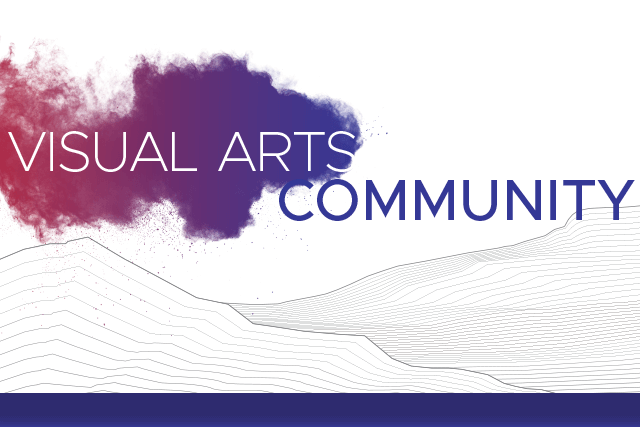 ), doodle, sketch, and connect with your community! 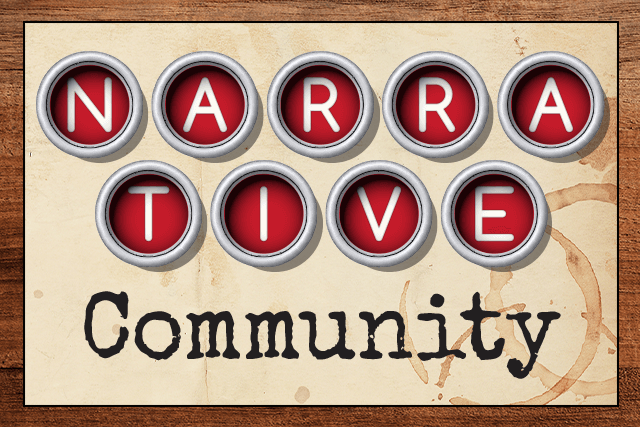 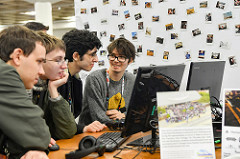 Collaborate on a giant narrative design wall, brainstorm ideas with built-in whiteboards, relax, noodle with budding ideas using vintage typewriters, sign up to host a fireside ‘Birds of a Feather’ session, or just pop in to participate!